Early Saturday morning the 22/2/14, (actually it’s 5am) and I’m preparing for travel to VK2/SM-006 Mt. Jagungal. The easiest way to access Mt. 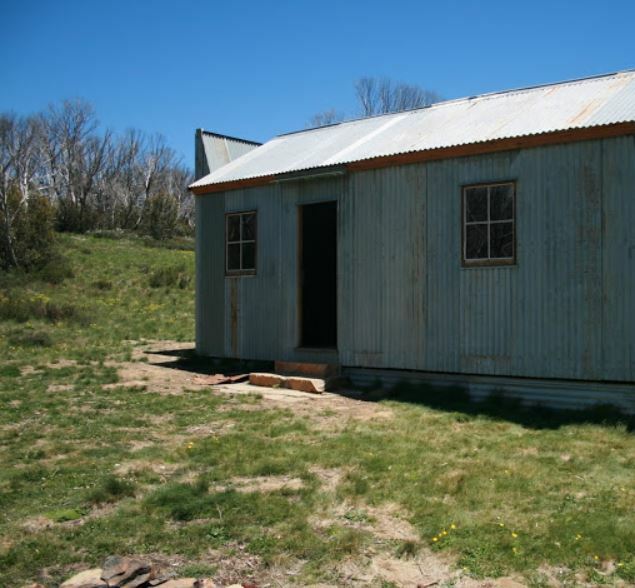 Jagungal is to travel either via Khancoban or Cabramurra along the Tooma road to the round mountain walking track head. 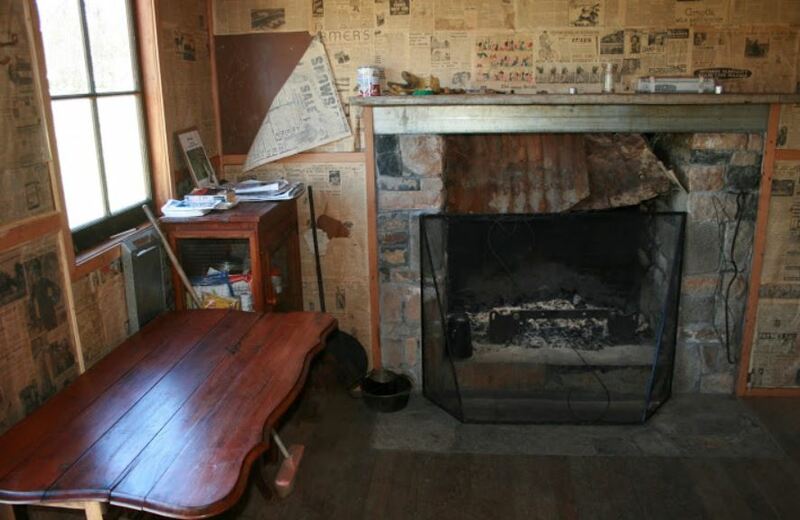 It is about an hour’s drive from Khancoban and approximately 45 minutes from Cabramurra Australia’s highest town. 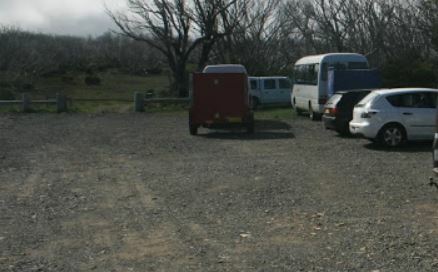 Upon arrival at the round mountain car park you will see a locked vehicle gate, walk around the gate and follow the trail until you arrive at another locked gate. Continue following this track at approximately 1.5km there is a track to the left, Farm Ridge Trail. At this point you need to decide to follow Farm Ridge Trail and access Mt. 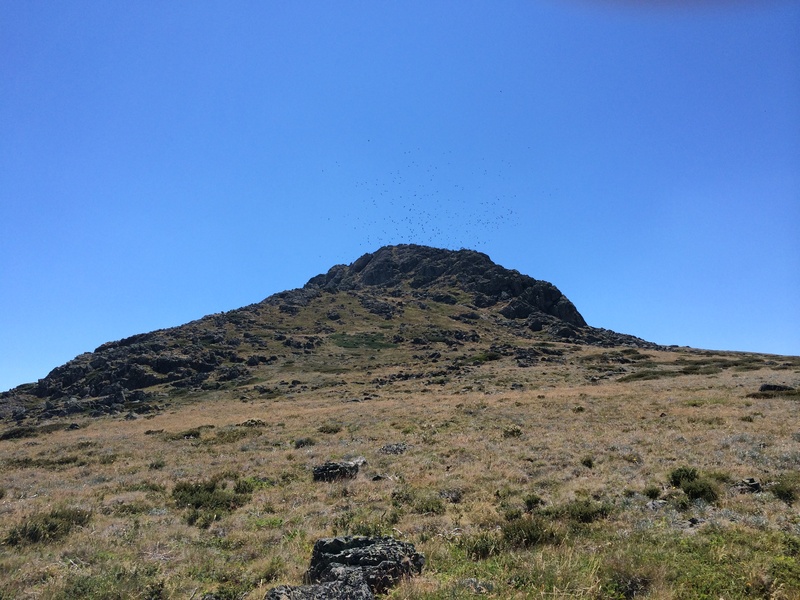 Jagungal via the round mountain hut or continue straight ahead on the Grey Mare Trail to Mt.Jagungal. Should you be riding a pushbike I recommend taking the Grey Mare Trail it is the most direct route. 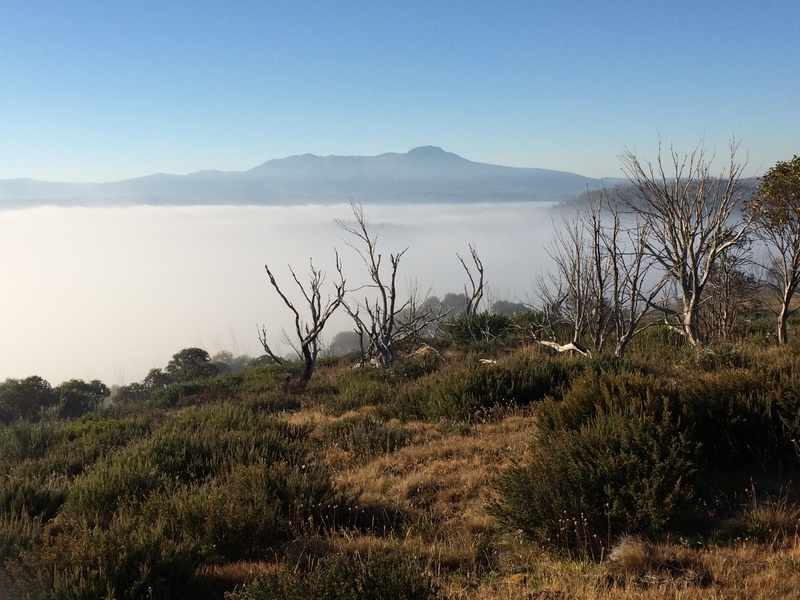 If you decide to take the Farm Ridge Trail and camp out to attack the summit over two days, then Round Mountain Hut provides a good place to rest up before travelling onto ford the Tumut river. 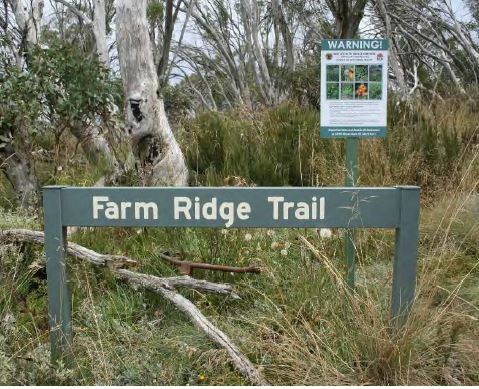 Following the Farm Ridge Trail you will need to cross the Tumut river which originates at Mt Jagungal. 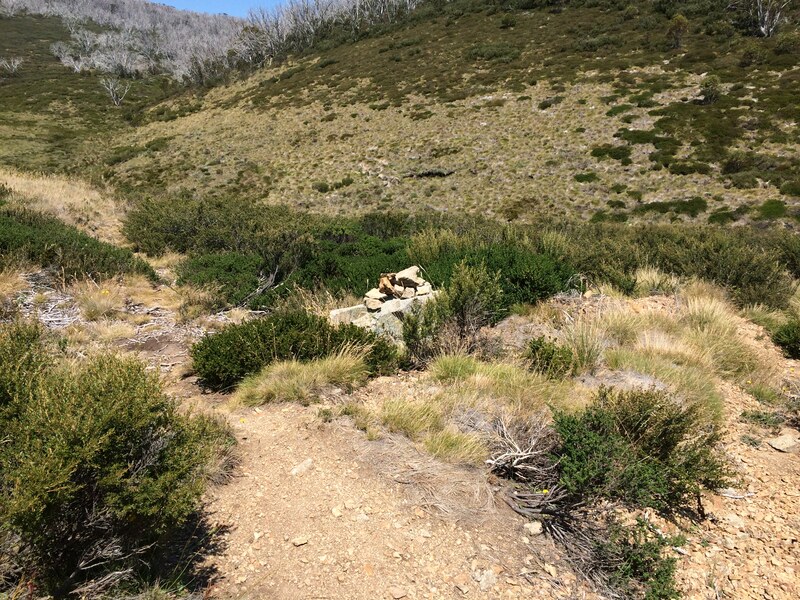 After fording the Tumut river continue along the trail for 8km until you reach the intersection with the Grey Mare Fire trail, Mt. Jagungal looms right in front of you, awesome! Following along the Grey Mare trail you will see another hut , O Keefe’s hut a good place to stop or camp if you have time. 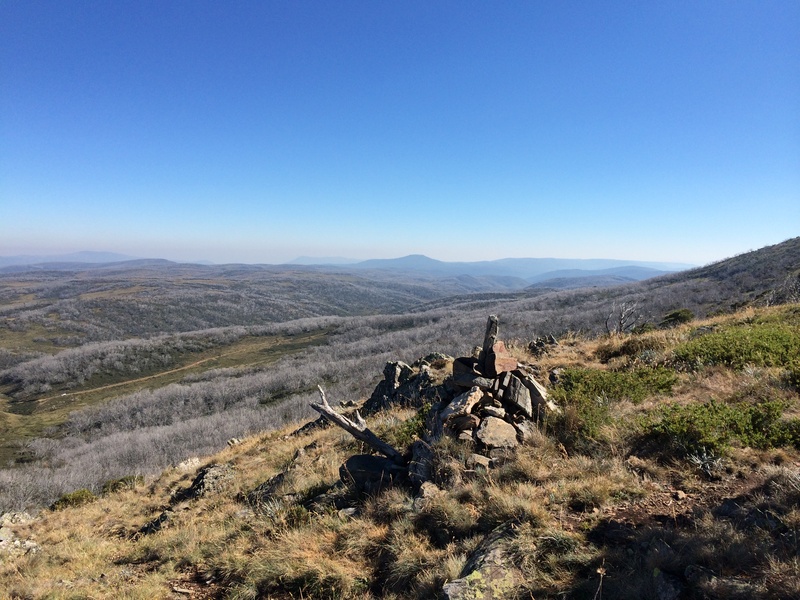 From O’Keefe’s hut continue approximately 5km along the Grey Mare Trail passing a weather station to reach the Tumut river again and a small pile of rocks, this is the best location to start your climb. You could climb at the weather station but it is very vertical and difficult. Ford the river then walk adjacent, you can follow a small track with brush about knee height all the way up to about the 1500 meter mark, there is a small amount of rock climbing to make it to this point. Add a rock to the cairn and continue. From here continue to climb the steady incline through low brush, there is a small amount of rock climbing before reaching the summit. 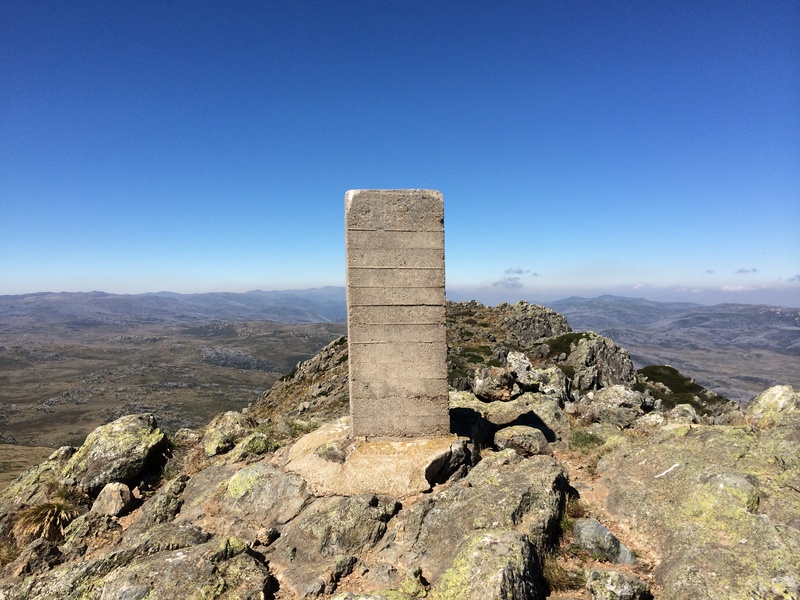 There is also an old trig post laying on the ground just before the summit. It has been replaced with a concrete pillar. The view looking from the 1500m point to the summit. Not far to go now! At last the summit! 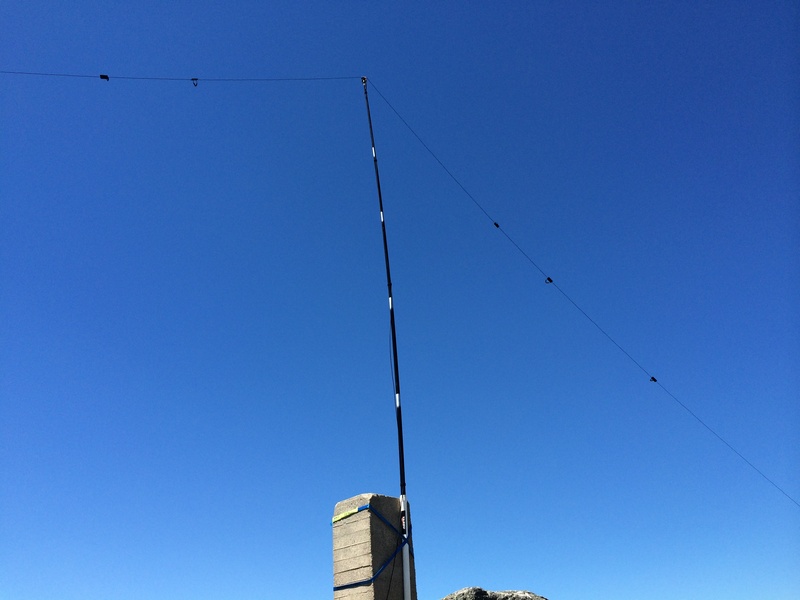 I had a little trouble setting up, I managed to erect the squid pole only to find the wind gusts snapped the top section off the pole. Not to be put off I attached my antenna with some electrical tape to get the job done. Always remember to take some tape and a multi tool with you! 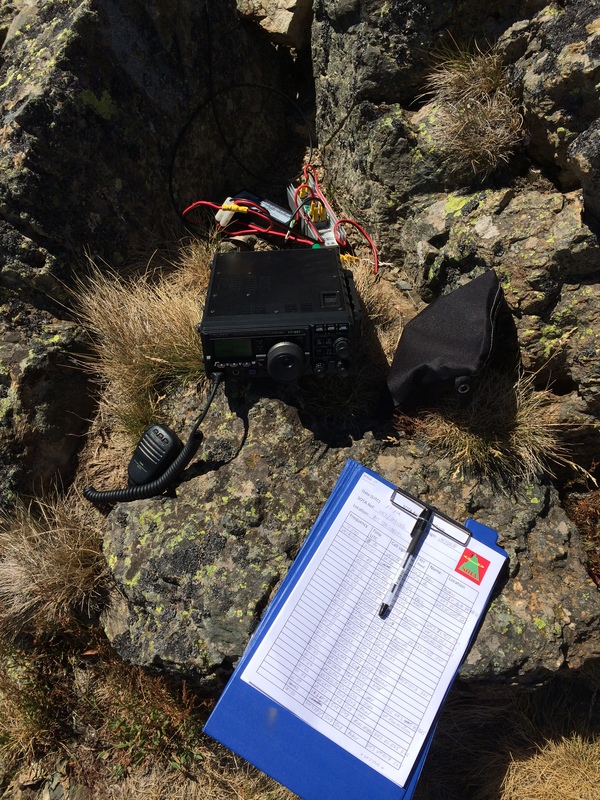 A great day was had by all with plenty of S2S contacts and another new summit for everyone.